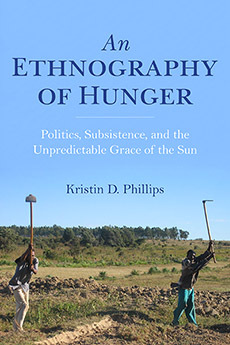 In An Ethnography of Hunger Kristin D. Phillips examines how rural farmers in central Tanzania negotiate the interconnected projects of subsistence, politics, and rural development. Writing against stereotypical Western media images of spectacular famine in Africa, she examines how people live with—rather than die from—hunger. Through tracing the seasonal cycles of drought, plenty, and suffering and the political cycles of elections, development, and state extraction, Phillips studies hunger as a pattern of relationships and practices that organizes access to food and profoundly shapes agrarian lives and livelihoods. Amid extreme inequality and unpredictability, rural people pursue subsistence by alternating between—and sometimes combining—rights and reciprocity, a political form that she calls "subsistence citizenship." Phillips argues that studying subsistence is essential to understanding the persistence of global poverty, how people vote, and why development projects succeed or fail.